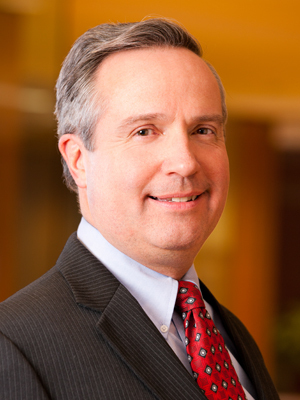 Mr. Essig joined the Firm in 1984 after receiving degrees from Cornell Law School and New York University Law School. He has developed a strong practice in the intellectual property and cyberlaw fields. Mr. Essig has in-depth experience in trademarks, service marks, domain names, copyrights, software, trade secrets and unfair competition. He also has significant experience with domain names, websites, e-commerce, technology and internet issues. He assists a broad array of international, national and regional clients with name availability searches, trademark and copyright registrations, renewals and administrative appeals before the United States Patent and Trademark Office and foreign and state agencies. Mr. Essig maintains hundreds of federal trademark and service mark registrations for his clients. Mr. Essig has been involved in numerous opposition and cancellation proceedings involving registered trademarks before the United States Trademark Trial and Appeal Board, as well as cyber squatting and domain name proceedings. He has significant experience in dispute resolution, negotiation and protective measures, having been involved in many enforcement actions. He also does a significant volume of intellectual property document drafting and negotiation, including assignments, licenses, software agreements, internet agreements, development agreements, distribution agreements, confidentiality agreements, privacy disclosures and other documents. Mr. Essig is involved with protective planning, including intellectual property audits and perfection of ownership interests, start-up consultation, and property transfers relating to mergers and acquisitions. A second related field in which Mr. Essig has significant involvement is in the area of franchises and distributorships. He provides initial consultation on the advisability of franchising and other alternatives, he assists in preparing franchise and disclosure documents, and he provides ongoing support thereafter with respect to franchise registration renewals, dispute resolution, general contract matters and other aspects. His transactional work includes preparation of offering circulars, franchise agreements, distributorship agreements, nondisclosure documents, risk disclosure statements and other documents. He also assists franchisors with state registration and compliance. He has represented a wide range of franchise and distributorship clients, as well as franchisees and prospective franchisees. He also has significant experience in dispute resolution and negotiation, and has represented franchise clients in Federal Trade Commission and state enforcement proceedings. Mr. Essig maintains an AV Preeminent (5.0) rating with Martindale-Hubbell, which is the highest rating awarded to attorneys for professional competence and ethics. He has also been voted by his peers throughout the state as one of Utah’s “Legal Elite,” as published in Utah Business Magazine (2004-2010, 2012-2019).